Cloud computing is a set of technologies, allows you to perform all the operations that we perform on a regular computer, using the resources of the provider. To understand the envisaged changes made by cloud computing, first one must understand what we’re talking about. Like all new technologies, even the term cloud computing is often used without understanding the full meaning. Before we discuss the advantages and disadvantages of the new technology, let’s give a complete definition for the benefit of those who were not practical in the end. Cloud computing is a set of technologies, typically offered by a provider, which allow you to perform all the operations that we perform on a regular computer using the software and hardware resources of the provider. When we work on our computer execute the software on the processor (CPU) local, our operating system and our hard disk. When we use cloud computing IaaS, we can perform the same operations, but the workload moves to the remote processor (the CPU of a remote machine), which run remote applications in the context of an operating system, which is also remote. Finally, all data are stored on the hard drives of the provider (remote), almost always through a distributed architecture. Great examples can be our tutorials on how to use Rackspace Cloud Server as Remote Desktop and using the same method, we can use it for NeuroDebian. We can use multiple 30GB servers together, load balance properly, use FreeBSD or OpenSuse for more stable setup for accessing it just using the browser or from a mobile device. The example seen is perhaps the most complete, but there are of course a myriad of different combinations. Cloud computing allows the use of remote resources in a partial way. For example, we limit ourselves to store data remotely, using a system of online storage or we could use only a particular application without installing it on your computer, in this case we speak of distributed software as a service rather than a product (SaaS: Software as a Service). There are many ways to benefit from cloud computing. From a point of view, even the grid computing, the practice of sharing a pool of processors to process large amounts of data over the network, is one of the first applications of cloud computing. This observation leads to a rather controversial question: Is Cloud computing is really a new technology or as argued by Richard Stallman, is only commercial invention, ie, a term coined to beautify an existing product? From the technical point of view we have to agree with those who say that cloud computing is nothing new. After all, it extends the concept of terminal or thin-client, which has existed since the dawn of computing. Even the webmail is an example of cloud computing, which is at least 10 years old. To say that cloud computing is just a new way to label a methodology for distributed architecture of the software, however, is limiting. What matters is not the concept behind the technology, but its mode of use. Let’s take an example, consider another technology: the internal combustion engine. This technology has existed for over a century, so no one can say that the car is a new invention, but not for this reason we can say that the way you drive, use and exploit the car has not changed. Although the technology is basically the same, probably no one would find comfortable driving a car like Henry Ford originally designed. The example on the car thing suggests that cloud computing should be considered in all respects as a new way of using modern technologies. From a technical point of view cloud computing is an technology for several years. What is changing is how to use these technologies. Cloud computing is often more advantageous than the old way of working. For example, storing our data on the cloud, can be accessed from anywhere, it may the office computer, home computer or a mobile device. In addition, in case of failure, loss or breakage of our “terminal”, the data remains secure at all times, on the remote server. Cloud computing is not just about using the software, but also the management of hardware and platforms. Through the cloud we can manage remote servers, so as to become ourselves cloud service providers. The way it handles remote machines is changed depending on the way suggested by cloud computing. For example, until a few years ago a company that wanted to have a remote server could choose between two main options: a hosting solution, which included rent and shared use of a remote machine, or a colocation solution, which consisted in placing your machine on the premises of a remote operator. These terms, in the light of the changes introduced by cloud computing, have evolved in the concepts of dedicated servers and colocation. A dedicated server is similar to the old concept of hosting. In this case, the provider rent, on a monthly or annual, to use the cars. The concept is very general and in some cases may indicate a shared machine or virtualized setup. Services of this kind are all economic and in some cases do not imply the definition of any SLA. The main feature of Cloud Computing IaaS is that the user does not own the car, that the hardware, but simply is authorized to use, configure and manage it at own will. This is an inexpensive solution that can work for all small businesses, especially if we can not make long-term projects. 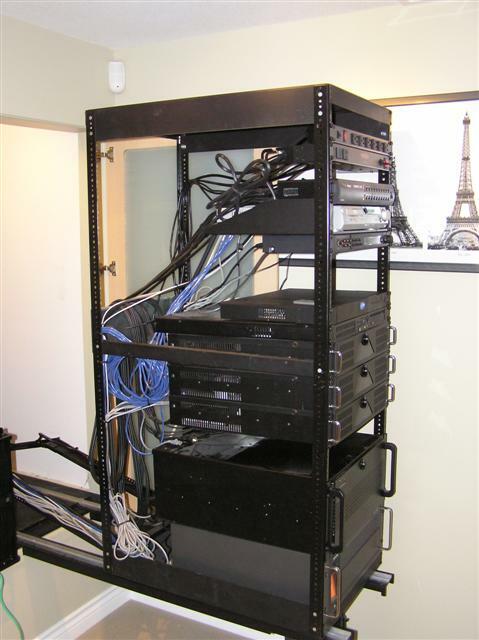 The colocation service extends the old concept of housing. In this case, we are the beneficial owners of the machine located at the provider. You may be wondering why using a remote place for our property. The advantages are numerous. First of all, colocation provides all the necessary infrastructure to the machine, such as the power supply, the network connection, the bandwidth of the network, the local cooling, security and surveillance. To take a trivial example, when we choose to keep our server in the office, on the day that we have to do the work on the power supply or on the network, we may not be able to guarantee full functionality of our service. Instead entrusting the colocation avoid problems of this type. The characteristics of many colocation services are the following: Fire protection, based on advanced sensors and suppression systems of gaseous flames Cooling of the environment where it operates the server Any maintenance and maintaining hardware. This service is optional, which depends on the agreement we have with the manager of colocation Restricted access to the premises where the server is located. When we had to choose a solution between a dedicated server and colocation solution we must consider the various advantages and disadvantages. Rather than list the strengths and weaknesses of each choice, we try to proceed in an alternative way: we list the main aspects of both choices. Whatever it is – colocation or Dedicated, always opt for server with no control panel. Actually there are ways to easily fool a new client or non techie client with a virtual private server with fresh IP and fully separate control panel. In both cases, if you install like VNC remote computer to test, you will actually see the real physical resources through the Operating System, which is almost impossible to hide. This fraud checking itself a big topic; one example is – a virtual machine will show the graphics as VESA as there is actual graphics card. If you run a virtualization software which does not support virtualization over virtualization, on this VNC setup, it can be caught indirectly. We will go in to details with practical examples in some other article, because it is not really about Cloud Computing. There is a definite risk to get cheated with a dedicated because the profit is very high. Sarcastically the ways to discover was show to us based on personal relationship by a co-owner of a web hosting company. This Article Has Been Shared 1204 Times! Cite this article as: Abhishek Ghosh, "Cloud Computing : How it is Changing the Era of Dedicated Servers and Colocation," in The Customize Windows, January 16, 2013, April 25, 2019, https://thecustomizewindows.com/2013/01/cloud-computing-how-it-is-changing-the-era-of-dedicated-servers-and-colocation/.